It is not explicitly illegal, but it is recommended by all jurisdictions that you should clear snow off your car. The driver’s manuals in Maryland and Virginia both include snow removal. Is there a Maryland law that says that you should not be able to have snow on your car so it does not come flying off and blind me? Sort of. Transportation Code §21-1104 states that a person may not drive a vehicle if obstructs the driver’s view of the front or sides of the vehicle. They may not drive a vehicle if it interferes with the control of the driver’s. However, the law would likely have a broad application in cases involving snow on top of cars. But no one is going to pull you over for having too much snow on your case. About a decade ago, the D.C. city council approved legislation that required drivers to remove snow and ice from their vehicles. However, the law never became permanent. 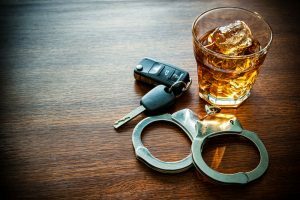 If you drove to a New Year’s Party in Utah on Monday and decided to have a few drinks, the risk of getting arrest for drug driving increased dramatically. On Saturday (December 30th) Utah lowered its legal blood-alcohol content (BAC) limit from 0.08 to 0.05. This gives Utah the strictest DUI laws in the country. This follows a National Transportation Safety Board (NTSB) recommendation that all states should lower their legal BAC limits to 0.05. Before we go further, you are saying you know you fine at .05, right? But define “fine”. Do I feel like I can drive a car at .05? I do. Do I ever drive at .05 with my kids in the car? I don’t. Setting aside the stunning hypocrisy for a second, I do this because I’ve been competing with my friends and family at goofy things my whole life. So I know that a little bit of alcohol slows me down just a bit because I can’t play video games or golf or anything else quite as well after two drinks than zero. In the real world, people have damage to their cars that they would just rather not get fixed. They would rather pocket the insurance money and drive around with a big dent in their car. If there was a liability dispute, it has been hard to pull this off in Maryland because there was no way to get the property damage estimate into evidence unless you brought the guy who did the estimate to trial as a witness (If you actually had the repairs done, you could get the cost in under Maryland Courts and Judicial Proceedings Code Annotated § 10-105). Now, under a new Maryland law passed last week, you can get a repair estimate into evidence at trial, at least in District Court. Now, a plaintiff can testify that a written vehicle repair estimate, prepared by an insurer or its authorized representative is admissible, without the testimony of the preparer of the estimate, as evidence of the authenticity and the fairness and reasonableness of the estimate that you would otherwise need. When you settle a large case with a minor in Maryland, the parties typically file what is called a “friendly suit” advising the court of the settlement – and asking the court to bless the agreement. Maryland law does not require this. This does not, naturally, stop defense lawyers from demanding that you file a friendly suit. They do it this way because, arguably, the law required it before 2004 and because they think – probably incorrectly – that a judge’s blessing gives them more protection in the event that the minor seeks to disavow the settlement. To file a friendly suit, you file your lawsuit along with a joint motion for settlement and a draft order for the court to sign. In Dunbar v. State Farm, a federal judge in Oklahoma granted summary judgment to State Farm in what was really a silly bad faith case. This case involved a pedestrian accident where somebody backed out of their driveway and hit someone. USAA tendered, albeit slowly, its $100,000 limits for the at-fault driver. State Farm did what it does, it slowly increased the offers over time. But in this case, medical records were provided, for whatever reason, over time, making State Farm’s increase in offers seem quite reasonable. Eventually, State Farm tended its entire policy of $200,000. Because it was an uninsured motorist case, that should have resolved the claim. But Plaintiff’s accident lawyer proceeded with the claim under the theory that State Farm should have made the offer sooner, but was dragging their feet. I don’t get it. Neither did the appellate court. The opinion also underscores Oklahoma law – and Maryland’s – that regardless of the severity of injury, an underinsured claim does not kick in until the underlying policy tenders its limits. So if you have a death case and the at-fault driver has a $30,000 policy, the underinsured motorist coverage obligations do not kick in until the underlying policy has been offered. In accident cases, our lawyers make sure we know what expert testimony defendants are will see at trial. One weapon in our discovery arsenal is a good expert interrogatory. In its response, State Farm says, “Hey, cool your jets, we will produce experts pursuant to the discovery order.” Technically, State Farm’s answer is not satisfactory. This interrogatory, served with the Complaint, is due within 30 days of service. But there is the rule and there is the way things are done. Filing a motion to compel to answer an expert interrogatory before the scheduling order requires expert designations would be just too ticky-tacky. It is a tell to State Farm and the judge hearing the motion that you are more interested in fighting for the sake of fighting than really trying to engage in legitimate discovery. So, we wait for the expert deadline. We get a cut and paste document that tells us absolutely nothing.